The company incorporated August 9, 1926 under the laws of Nebraska as the United Benefit Life Insurance Company and commenced business on November 26, 1926. The present name was adopted in 1981. All outstanding shares of United of Omaha Life Insurance Company are owned by the Mutual of Omaha Life Insurance Company. 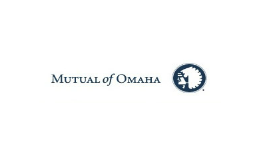 As Mutual of Omaha Life Insurance Company’s main subsidiary, it concentrates its activities on individual life and annuity products. United of Omaha has traditionally showed considerable expertise in the areas of life underwriting. United of Omaha Life Insurance Company is licensed in the District of Columbia, Puerto Rico, the U.S. Virgin Islands, and all states except New York.